Pamela’s Caregiving and Power of Attorney Secrets program will reduce worry about being a burden to family members. Aging adults want to remain independent and in control of their lives. Caregivers may feel exhausted and hopeless about care situations. Caregiving is a family matter but is a subject that is rarely discussed before an unexpected emergency happens. In Pamela’s program, Caregiving and Power of Attorney Secrets she works with caregivers and aging adults to end worry, reduce doubt, and gain confidence about caregiving matters. The program also focuses on the importance of choosing the right power of attorney to help advocate for care in a healthcare system that may deny care and treatment to aging adults. 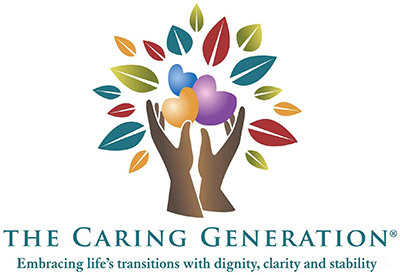 Many adult children are looking for solutions to survive caregiving for aging parents. Because every situation is different, live online sessions with Pamela to get your questions answered are included with the program. If you want to work with someone who understands what you’re going through, this program is for you. Pamela’s 20+ years of experience helps caregivers and aging adults avoid many of the pitfalls, mistakes, and unknowns of caregiving and navigating the healthcare system. Remaining independent can be difficult if you don’t have or want your family to help. By working with Pamela — who knows what happens in caregiving situations and understands what aging adults and caregivers go through — caregiving and family situations become less stressful. Caregiving is a life role that arises unexpectedly and throws unprepared families into chaos. Talking about caregiving and power of attorney are “after-thoughts” after health issues have happened. By this time loss of independence and more help may be a necessity instead of a choice. When life changes and you need care or become a caregiver you want to be confident that you are making the right decisions and the right choices. Here are 11 reasons Pamela’s Caregiving and Power of Attorney Secrets will change your life. Responding to health emergencies in crises results in family stress, worry, and anxiety. This program helps caregivers and aging adults have a caregiving plan and a backup plan to address the unexpected. There are also things to know to plan for and make end of life care decisions. By having conversations about caregiving and power of attorney before emergencies happen, the worry about “who will care for me” is resolved. Aging parents wonder if their adult children will care for them. No one wants to be a burden. Saying that you don’t want to be a burden and not being a burden are two different things. Not being a burden does not happen without action and planning. By talking and planning about the desire to remain independent and in control, concerns about being a burden are lessened. Adult children worry about when it’s time to get power of attorney for aging parents. This is especially true if there is a lack of understanding about the responsibilities of a power of attorney. Most people hear the words, power of attorney, but don’t really know what power of attorney means. While power of attorney is a document — a piece of paper that can be downloaded from the Internet or provided by an attorney — knowing the responsibilities of the person appointed is significant in managing care for a loved one. If you are a solo ager, meaning an adult who is divorced, widowed, never married, a married couple without children, or a person who does not have or trust family to be your caregiver at the time of need, this course is even more important and time-sensitive for you. Finding a professional who will help you remain independent, in control and to manage your health when needed is a necessity, not an option. When caregiving becomes a need, families are focused on day-to-day care and feel like they are living in a pressure cooker. Pamela’s rare experience benefits caregivers and aging adult by providing practical and tested solutions to caregiving problems. The stress of needing care or of being a caregiver makes it difficult to focus on problem-solving. Live quickly becomes imbalanced. Pamela works with caregivers and aging adults to restore balance and reduce stress. Caregiving quickly becomes overwhelming and burnout is experienced. The quality of our health indicates the quality of our life as we age. The healthcare system “treats” but fails to talk about the bigger picture of preventative measures to support positive aging. One example of this is the prevalence of high blood pressure and relating high blood pressure to circulatory issues in the body. Over the long-term high blood pressure and circulatory issues can result in a diagnosis of dementia. Creating a medical action plan with Pamela helps caregivers and aging adults become more aware of potential issues and present-day actions that can be taken to support independence. Difficulties with activities of daily living are often an early warning sign that action must be taken to remain at home instead of moving to a nursing home or care facility. Advocating, or standing up for our own care needs, can be challenging especially if we are not well-versed in working with the healthcare system. By going through the process of appointing a person to be your power of attorney you have more power and leverage to work with healthcare providers. In the program, Pamela’s Caregiving and Power of Attorney Secrets, she shares her experiences as medical power of attorney to help you get the care you need. The healthcare system is biased against providing care for older adults especially those with certain diagnoses. You’ll gain confidence in your ability to get the care you want for yourself or a love done. Most people assume that Medicare pays for all care when we age and are shocked to learn that this is not the case. By becoming aware of costs of care as early as possible you can make choices about how and where you will receive care when needed. Pamela will work with you to understand what Medicare pays and doesn’t pay for so that you’re not surprised when a hospitalization or health emergency occurs. Detailed information about the costs of in-home caregivers, care communities, and nursing homes will be discussed in the program. Pamela’s Caregiving and Power of Attorney Program takes you through common caregiving surprises so that rather than reacting in crises, you will already be aware of the things that might happen. Caregiving is part of life that many family members learn by a trial and error process. Mistakes and medical errors happen. By becoming more informed you will be calm when crises occur and aging adults and caregivers can more easily manage care. Creating a power of attorney document, a living will, a M.O.S.T. form, or a do not resuscitate form can be overwhelming and confusing. Pamela works with you so that you are more informed about how the decisions you make in these documents will affect your care and family relationships. Medical errors happen that are not addressed in many power of attorney, living will, or M.O.S.T. forms. The general public isn’t aware of the problems that happen because these problems are not well publicized. Because Pamela has been on the ground for 20+ years in hospital emergency rooms, nursing homes, care communities, and managing in-home care for clients, she knows what happens in client care situations. Pamela will help you avoid family disagreements and plan for potential healthcare issues so that you avoid unexpected situations and unnecessary stress. Appointing a power of attorney is a subject that many individuals and families postpone or are unaware of because needing or appointing a power of attorney seems like something that “isn’t for me.” Confusion exists over what power of attorney means. A power of attorney document is a piece of paper giving power to another person to help you. You Can Download A Power of Attorney Off the Internet … But What Then? The “implementation and use” of the document is the most important aspect. Sure you can download a power of attorney from the Internet, but what then? Do you fully understand the responsibilities and the ramifications of appointing a person to help you? Many individuals do not have a good understanding of power of attorney and what it is or what it means. A lack of understanding is why creating power of attorney documents or choosing a power of attorney is delayed. A lack of understanding about power of attorney is also why power of attorney abuse happens. Older adults are taken advantage of both medically and financially by persons they thought were honest — including family members. When a medical emergency happens, help is needed. Having a power of attorney you trust is invaluable in protecting your wishes, choices, and desires about the care you want. Not having this document subjects you to having the healthcare system and others make decisions for you. Pamela’s years of experience as a court-appointed guardian, medical and financial power of attorney, the personal representative of the estate, trustee, and care manager are unique and offer significant benefit to caregivers and the aging adults she works with through this and other programs. Pamela has been a trusted advisor, confidant, and consultant to caregivers and aging adults for more than twenty years. Becoming involved with the legal system is another hesitation. Power of attorney documents can be downloaded from the Internet or provided by an attorney. Having this piece of paper is important. Even more important is learning the responsibilities of your power of attorney and making sure that this person will do what you ask. In this program, you’ll have live access to Pamela to ask questions. Rather than being unprepared the result of participating in this program will be that you will feel more confident, in control, and less likely to feel like a burden to your family. The roles and responsibilities of persons appointed as power of attorney who are also family caregivers are clearly outlined in the program. Pamela shares information about managing and monitoring daily care so that aging parents and loved ones can remain at home and avoid moving to nursing homes. Loved ones diagnosed with memory loss require special advocacy to receive better than average treatment and care. Learning to navigate the healthcare system can be a challenge. Watch Pamela’s video below and CLICK HERE to watch a webinar about the program, Pamela’s Caregiving and Power of Attorney Secrets that takes you through everything that’s included in the course. You are an adult ready to complete power of attorney documents, but you’re uncertain about what to do next and who to appoint. You want to remain independent and not be a burden to family or loved ones. You want to be in control of your life and your decisions. You feel alone and unprepared for needing care. Working with the healthcare system has been challenging and you feel like your care needs are not being met. Looking for solutions to health problems makes you feel helpless or hopeless. You are a caregiver for an aging parent, spouse, or family member who is experiencing health issues. Power of attorney has been discussed, but not finalized. You are a family member or friend who has been appointed as power of attorney. You want to make sure you understand your responsibilities and all that is involved. You appointed a power of attorney and need to make a change. You want a better understanding of the roles and responsibilities of a power of attorney so that you can manage your own care today. When help is needed, you want to direct and work with your power of attorney to make sure your wishes are honored. Pamela’s program will give you the confidence to understand responsibilities listed in the power of attorney documents, choose the right power of attorney, manage caregiving situations and be in control. You will become a better advocate for yourself and loved ones by using the action plan that Pamela developed and used for her clients. CLICK HERE to learn more about the online course, Power of Attorney: Secrets for Success.